Do Raw Meat and Bones keep your Pet’s Teeth Clean? 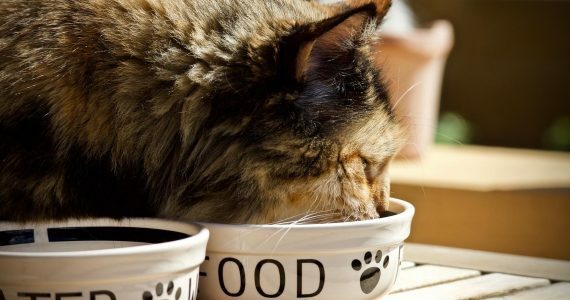 Many pet owners believe that feeding a raw diet and bones can save their pet from stinky breath and bad teeth. But does it? Or does it cause more problems than it solves? Good dental health is one of the key ways to ensure your pet is happy and healthy. 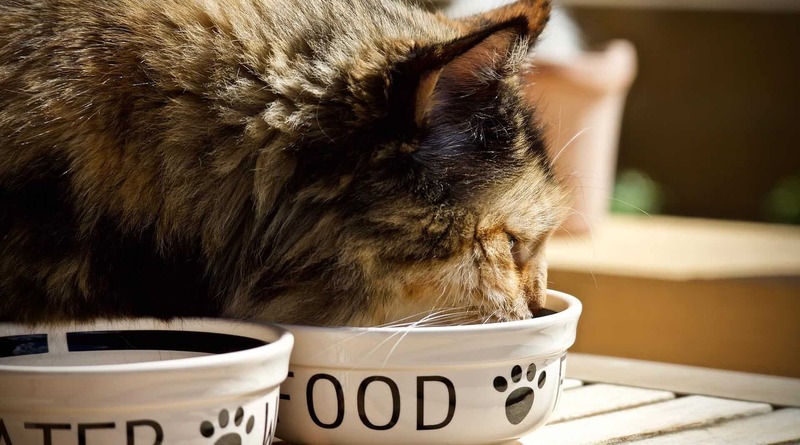 Choosing the right food for your cat or dog can make a big difference. 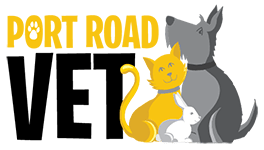 At Port Road Vet Clinic, we prefer a dental diet like Royal Canin Dental food, which is backed by scientific evidence to show it helps clean teeth. But what about raw meat and bones? First, let’s talk about whether bones are safe to give to your cat or dog. Unfortunately, the news is not good. As a vet, I see so many problems with bones: from fractured teeth, pancreatitis, gastroenteritis to obstructions and constipation. Bone that was removed from cats mouth. Most problems tend to occur with large beef bones that can easily break a tooth. A bone strong enough to hold the weight of a cow (for example, a raw beef shin bone or marrow bone with the hollow centre) is pretty tough… which means those very determined chewers will often break a tooth before the bone gives way. Chicken necks present a whole different problem. They are the ideal shape and size to get stuck in the oesophagus en-route to the stomach, and they can also get stuck between teeth. Even worse are bones that are left out, buried or otherwise ‘saved for later’ that then reach room temperature and harbour large numbers of bacteria. So do bones clean teeth? In order for something to clean the teeth, it needs to scrub the teeth in just the right way: not so much that it damages the protective enamel coating and gums, but enough to clean off the tartar. Do bones do this? Not really! The disease we see in our pets is periodontal disease, or ‘around the tooth’ disease, which is why the build up of plaque, tartar and then calculus starts along the gumline. Bones typically shatter or break as the large wedge-shaped teeth at the back penetrates the bone – they never reach the gumline. Of course you will get well-meaning people at the dog park swearing that the raw chicken carcass they feed their dog daily has prevented all manner of ills, but where is the research? The control study? The actual evidence? Believe me, if vets enjoyed removing fractured teeth and treating dogs with obstructions and gastrointestinal disease more than we love your animals, perhaps bones would be recommended more often! *Please be advised that free dental checks involve an examination and discussion on the health of your pet’s mouth only. If you wish to discuss other health issues then a normal consultation fee will apply.